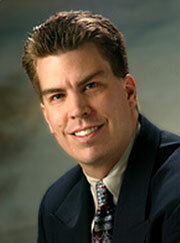 Dr. Brian Jurbala is the founder and creator of the Trigger Tome® Procedure. Dr. Jurbala, a triple Board-certified, fellowship-trained hand and upper extremity specialist in Lakeland, Florida. Dr. Jurbala developed the device and procedure in direct response to his patients’ request to have this relatively minor surgery done in the office to save time and expense. He completed his undergraduate education at Penn State University where he studied Chemistry and Biomedical Engineering. Dr Jurbala earned his Medical degree from Temple University in Philadelphia, PA and went on to complete his Residency in Orthopaedic Surgery at Orlando Regional Medical Center in Orlando, FL. He completed additional fellowship training in Hand and Upper Extremity Surgery at the University of Pittsburgh Department of Orthopaedics and Sports Medicine and the Western Pennsylvania Hand and Trauma Center in Wexford, PA.
Dr Jurbala is Board Certified in Orthopaedic Surgery and holds Certificates of Added Qualifications in both Hand Surgery and Sports Medicine from the American Board of Orthopaedic Surgery. Dr Jurbala is a fellow of the American Academy of Orthopaedic Surgeons and is an active member of the American Society for Surgery of the Hand, the American Orthopaedic Society for Sports Medicine, and the Arthroscopy Association of North America.